The future of aviation is electric and NASA is playing a vital role in getting us there. America stands on the cusp of a new era in aviation, NASA says, even calling it "revolutionary." Airplanes will be dramatically cleaner, quieter, and even faster. After six years of research, demonstration airplanes use half the fuel, produce 75% less pollution and are much quieter – noise is just one-eighth of today’s levels, says NASA’s Environmentally Responsible Aviation team. Researchers focused on design changes that make airplanes efficient enough to run on electricity: advanced, lightweight composite materials; advanced fans that greatly improve engine propulsion; and changes to wing flaps and landing gear that make them much quieter. Although efficiency has been incrementally improving in the airline industry, NASA’s work takes a leap forward. 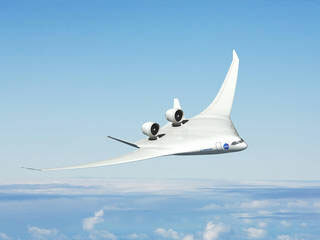 "The full potential of these technologies can’t be realized in the tube-and-wing shape of today’s aircraft," says Jaiwon Shin of NASA Aeronautics Research. In future airplanes, weight and drag are reduced by smaller tails and even new coatings that prevent insect residues from building up on the wings. New ways of melding airplane parts together make airplanes 20% lighter and much stronger. Morphing wings are part of the body, eliminating the drag and noise of air flowing through gaps. Research partners FlexSys and Aviation Partners of Seattle have already announced they plan to commercialize this technology. A new design for jet engine combustors – the chamber where fuel is burned – cuts nitrogen oxide emissions by 80%. President Obama’s 2017 budget proposal would make these innovations a reality through a 10-year plan – will it make it through Congress? It would enable NASA to build a variety of demonstration planes, called X-planes, to get these innovations into the commercial market – including those that fly on electricity and biofuels. Sceptor, an experimental electric plane, integrates motors into the wing. Other planes have very light wings that can change shape to move through turbulent air. This month, the aviation industry announced long awaited details on how it will deliver on its promise to move toward carbon neutrality after 2020. But the proposal goes nowhere fast, requiring emission cuts from new aircraft of 4% over 12 years. The industry still plans to launch an international cap-and-trade program in 2020 to cut emissions in half by 2050. In 2014, a program launched that certifies US airports for lowering carbon emissions, joining Europe and Asia. 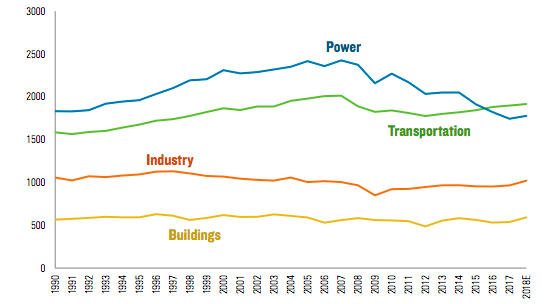 Right now, aviation produces about 2% of world carbon emissions, but the industry is expected to double over the coming 15 years. Read our article, Buzzword is Electric For Future of Aviation.